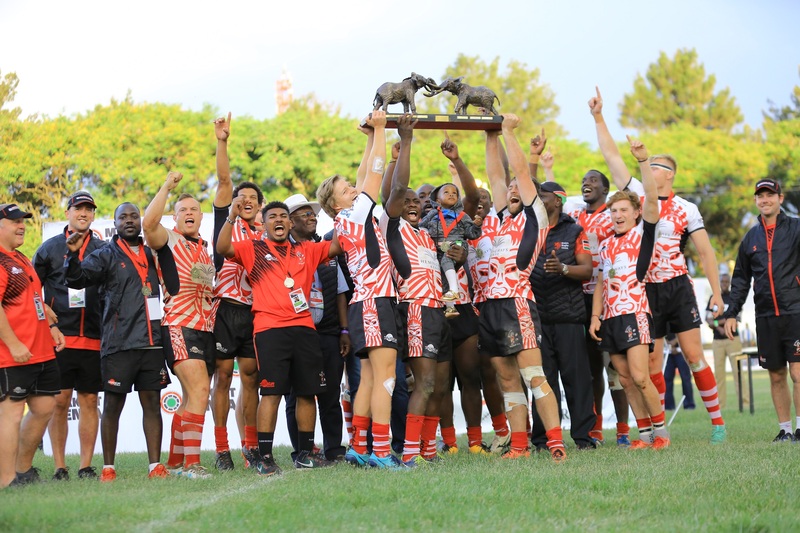 Samurai International won the 2018 edition of Safari 7s beating Kenya Sevens 21-14 on Sunday November 11 at RFUEA Grounds in Nairobi. Samurai ran in three converted tries against Kenya's two converted touch downs to take back the cup they won in 2015 at Kasarani. Ruan Mostert, Hugo Stiels and Kurt-Lee Arendse scored for Samurai with Van Niekerk Angus and Augustine Lugonzo adding the extras as Johnstone Olindi and Daniel Taabu crossed over for the losing side. Samurai's Kurt-Lee Arendse was named the MVP, Manuel Marta from Portugal was the top point scorer as Hugo Ferndandes was the top try scorer with eight tries. Kenya Morans finished third after beating Spain 12-5 while Portugal won the Plate after beating local side Homeboyz 31-5. Kenya will now continue preparation for Dubai 7s that kicks-off in two weeks where they play Fiji, France and Scotland in pool B.